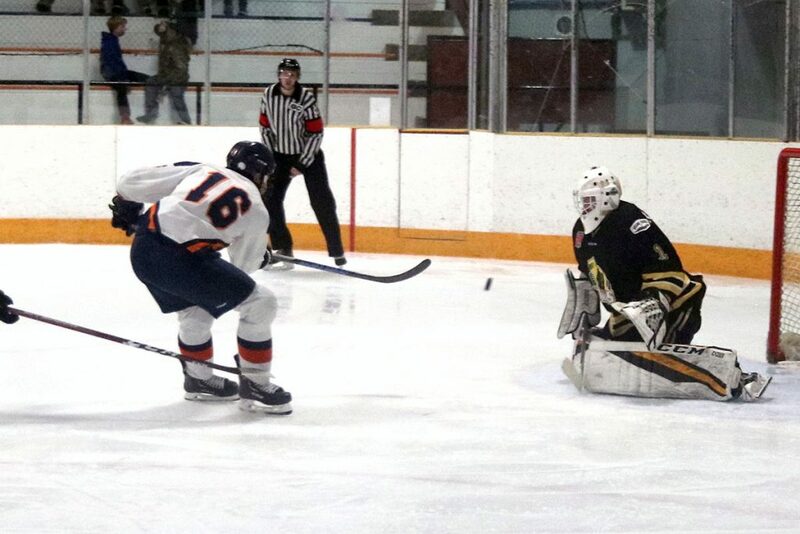 The Beaver Valley Nitehawks cleared the first hurdle in their quest for a KIJHL title. 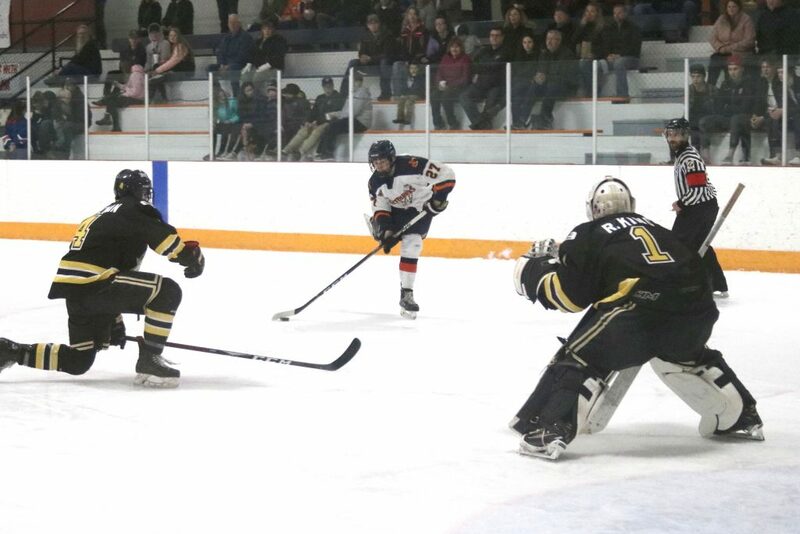 The Nitehawks completed a four-game sweep of the Grand Forks Border Bruins on Sunday night with a 6-2 victory at the Jack Goddard Memorial Arena in Grand Forks. 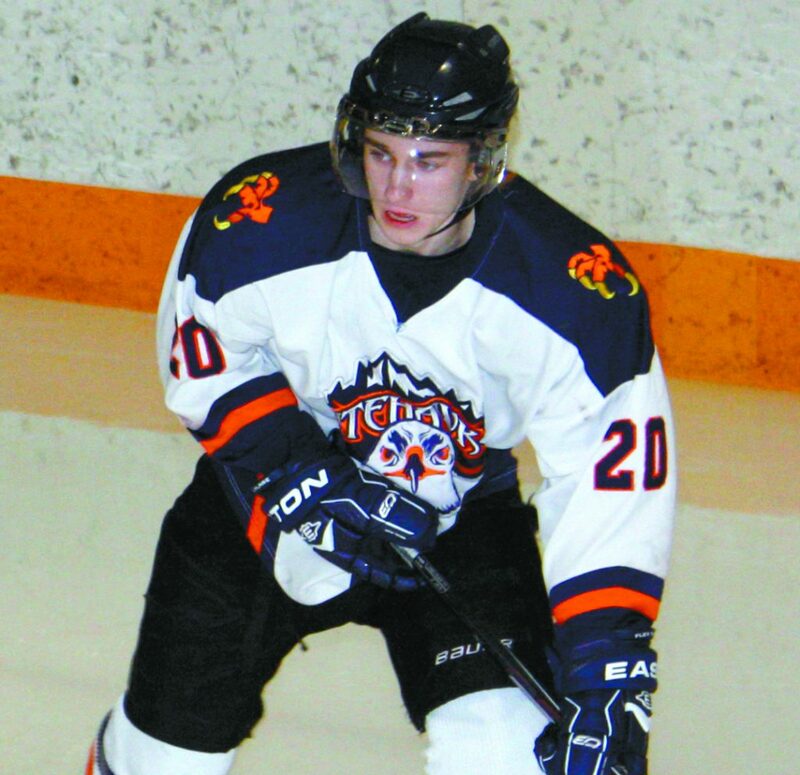 The Nitehawks fell behind 2-0 early, but scored six unanswered goals including the eventual game winner by Paul Leroux at 18:18 of the second period to clinch the Neil Murdoch Division semifinal. Leroux finished a pretty three-way passing play with Michael Hagen and Nolan Corrado to give B.V. a 3-2 lead. 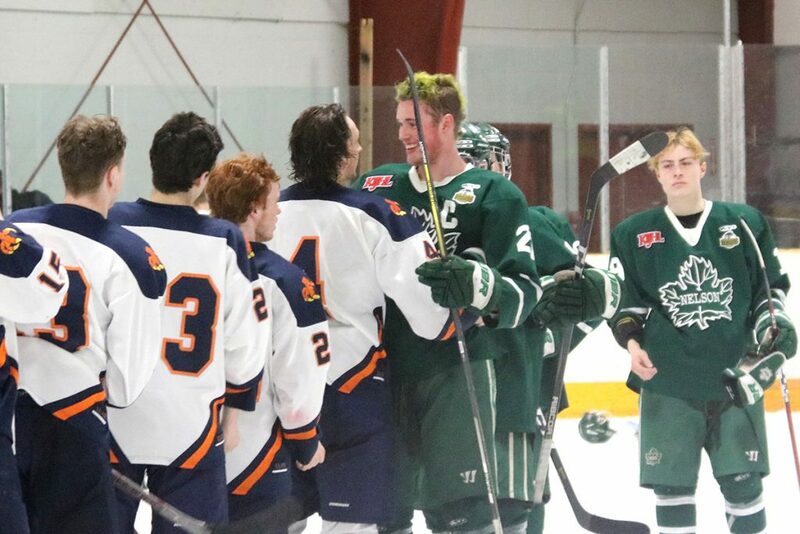 The Nitehawks opened the best-of-seven series with a dramatic 5-4 double-OT win, then rolled over the Bruins 10-4 in Game 2, and earned a 2-0 shut-out in Game 3 to take a strangle-hold on the series. Despite the Hawks injuries, depth throughout their line up and a strong affiliate presence made the difference. Injuries also played a factor in the Border Bruins line up with top players Nathan Cohen-Wallis, Jake Huculak, and August Demaere out of action at various times. The Bruins came out determined in Game 4 and opened the scoring with Alex Skinner and Yoan Rodrigue tallying a shorthanded and a power-play goal in the opening 10 minutes to put the home team up 2-0. B.V. chipped away with Marty Ingram and Michael Hagen scoring before the period was out to tie it heading to two. Leroux made it 3-2, and the Game-1 overtime hero, Stocks, shovelled in his own rebound for a 4-2 lead. 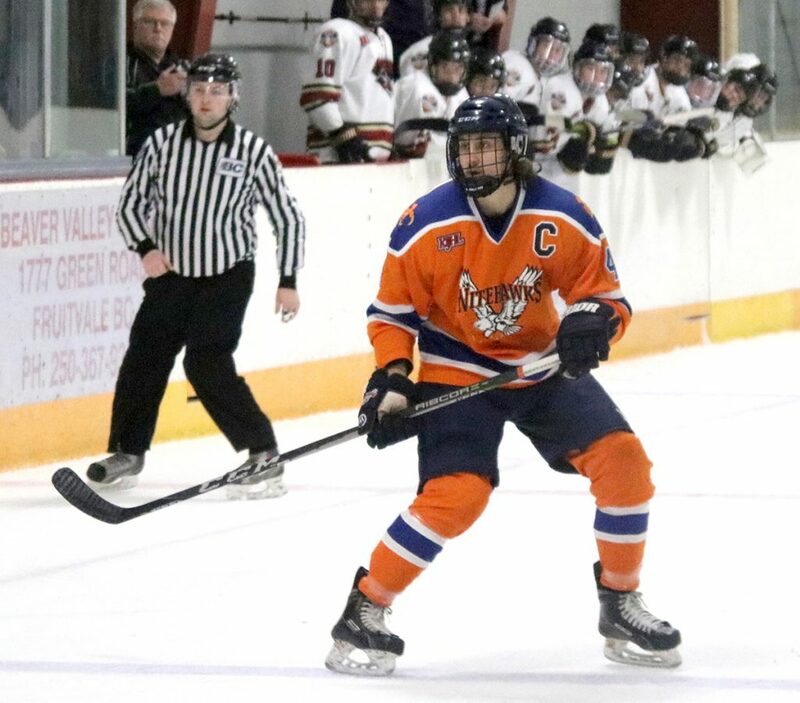 Affiliate player Dayton Nelson, fresh off a game that morning with the Major Midget Kootenay Ice, scored on an unassisted effort to make it 5-2 heading into the third period. Hawks’ forward Nemethy put the Bruins’ season on ice with an empty netter with 1:53 left in regulation. Noah Decottignies stopped 28 shots for the win, while Ross King made 32 saves in the Bruins net. B.V. was 1-for-7 on the power play and Grand Forks 1-for-8. 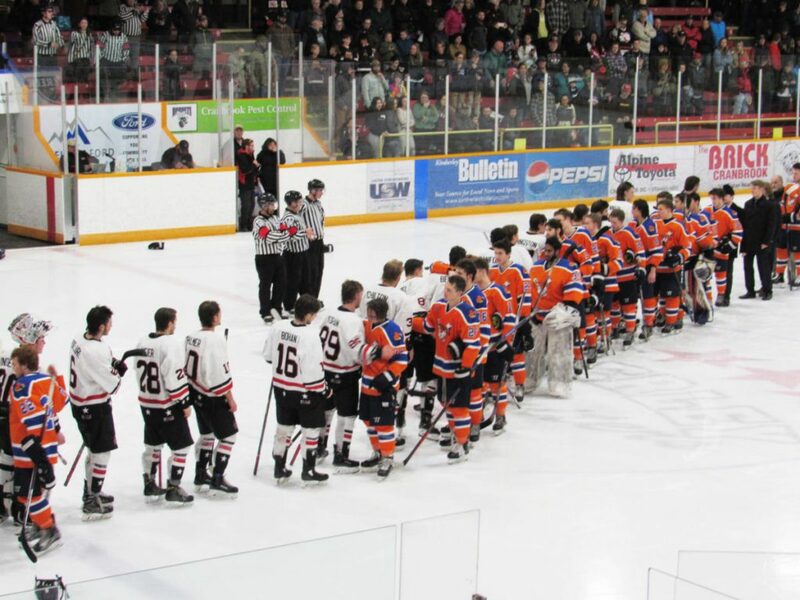 The Nitehawks now enjoy a five-day break before facing either the Nelson Leafs or Spokane Braves, whose series was tied at two as of Monday. Beaver Valley will face the winner of the Nelson Leafs-Spokane Braves match up, which is tied at two-games apiece. The series resumed Monday night in Nelson but the score was unavailable at press time. Game 6 goes in Spokane on Tuesday, with Game 7, if necessary, scheduled for Wednesday in Nelson.